Apple on Thursday is expected to unveil new Mac notebooks at the first event dedicated to its personal computer line since March 2015. 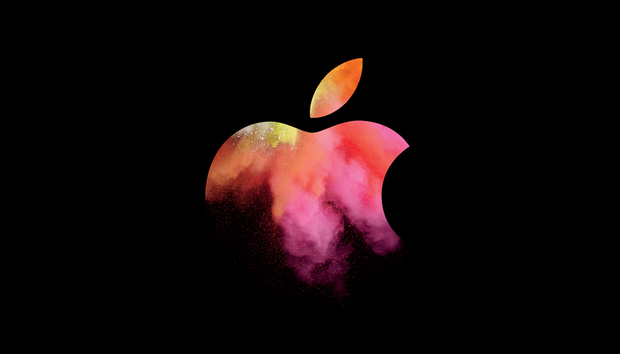 If Apple follows its well-worn path, company executives will trot out refreshed hardware and trumpet changes while slides on a big screen strut the new specs and prices. But some analysts figured Apple may do more than that. Not a "One more thing" moment -- the Jobsian habit that always got cheers from partisans, and a practice that current CEO Tim Cook has sometimes copied -- but instead an explanation of the Mac, a new narrative for the personal computer, a revamped marketing message for the firm's lines. Those analysts were anticipating something more because Apple has pushed many of its Mac refreshes into the deep end of the pool and made them swim with a press release introduction and a quick switcheroo at its brick-and-mortar and online stores. Live events have generally been reserved for the bigger revenue fish, like the iPhone, or the newest, shiniest products, like the Watch. The last Mac live roll-out was a year and a half ago, when Apple launched a radically redesigned MacBook. So when Apple deigned to do an actual launch, Jan Dawson, chief analyst at Jackdaw Research, saw it as an opportunity for the firm to describe where the Mac fit. "That's more interesting" than the nuts and bolts of the next-generation Macs, Dawson said. One possibility: "Apple has talked about the iPad Pro as the vision of the [personal computing] future," said Dawson. "So what is the Mac then? Is that the present?" Dawson was referring to comments Cook made in July. "iPad Pro is ... the ultimate replacement device for customers switching from PC notebooks," Cook asserted during an earnings call with Wall Street. Apple's advertising also picked up the message, labeling the tablet and keyboard combination a "computer." Apple could "clarify the framing of the iPad Pro and the Mac," Dawson added about the Thursday event. Stephen Baker, an NPD Group analyst who specializes in retail technology sales, was also thinking of the iPad Pro. When asked whether the old-Macs-don't-sell theory was valid, Baker took the affirmative, but with caveats. "You can't dismiss the idea that some people are moving from Macs to iPad Pros," Baker said. "It's one of the unrecognized issues in the challenge to sell Macs." In fact, said Baker, if speculation is on target, Apple will signal the Mac's place in the company when it shows customers which models continue and which disappear. The talk, Baker continued, was of refreshed MacBook Pros and MacBooks, and a reduction in the number of different MacBook Airs. The result: "Fewer SKUs," Baker said, using the "stock-keeping units" label for discrete models. "For 10-in. and above, Apple doesn't need that many SKUs." Eliminating part of the Air line-up -- many pundits have written off the 11-in. MacBook Air -- or even scrubbing the whole line would speak volumes. "At those MacBook Air price points of $900 to $1,200, the iPad Pro is a pretty good solution for those customers," Baker said. "We definitely see that" in our data.